These days, the majority of people own smartphones and tablets. Tech21 have a wide range of accessories that are perfect for Christmas gifts. They sell a range of Impactology cases for iPhone 5, 5s, 5c, 4 and 6, Apple Macbook, Samsung Galaxy S4 and S5, HTC M8 and iPad Air, iPad Mini, iPad and iPad 3rd and 4th gen. You can also purchase anti-glare screen protectors for iPhone models 5c, 5s and 4s. Impactology is a promise that Tech21's products always deliver the most intelligent impact protection. The products are made with a selection of ingenious raw materials, providing optimum impact protection. 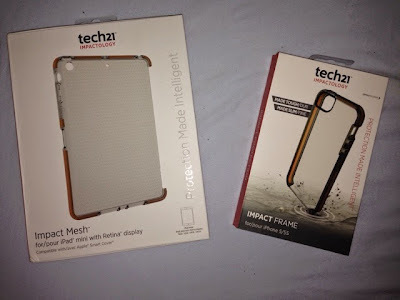 I was given the opportunity to try out two items from their range - an iPad mini mesh case and an iPhone 5 Smokey case. Both of the cases that I received are integrated with D30 Impact material which absorbs and dissipates shock from your device when dropped. Perfect for me having two children in the house! The iPad mini case is made from a thick rubber. 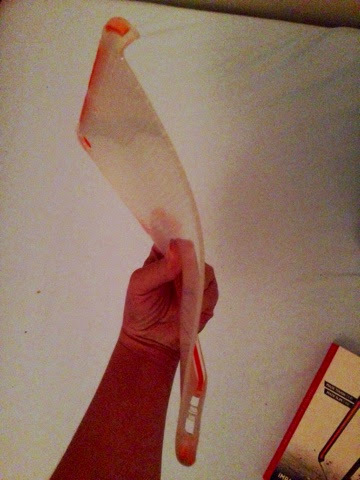 It bends and may look flimsy but it's far from it. 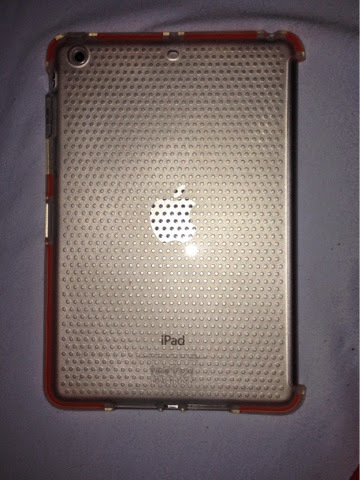 It fits perfectly and leave access for usage of all ports and as the case is compatible with Apple Smart Cover, one edge of the iPad isn't covered so that this can click in. 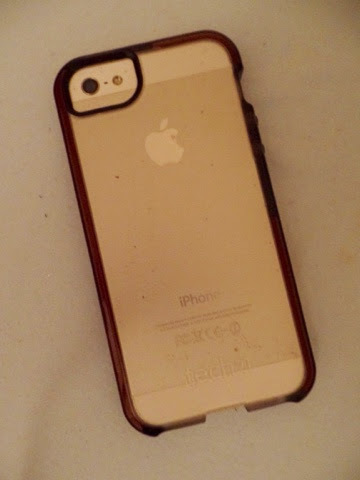 The iPhone 5 case is made from a hard plastic with a rubber bumper. It feels secure in my hand and again, you get full usage of all of your ports. The cases for both items look and feel high quality and you can really put your trust in Tech21. You can find out more about Tech 21 at their website, Facebook and Twitter.